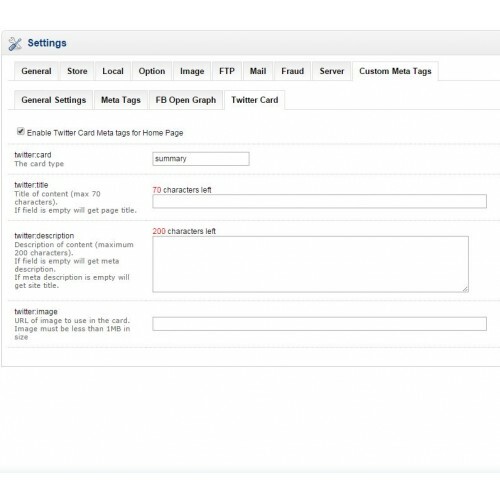 This extension adds Custom Meta tags, FaceBook Open Graph and Twitter card metatags. 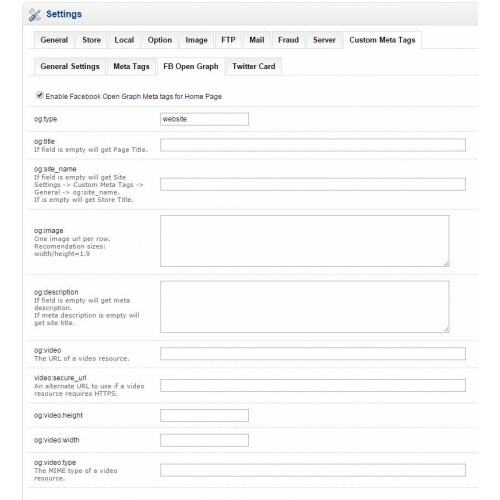 You can manually edit meta tags and add videos to FB Open Graph. 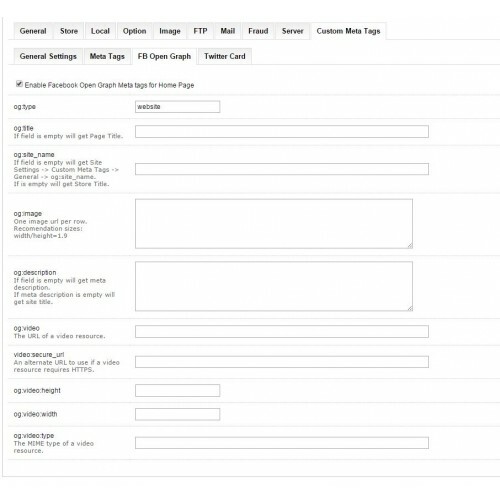 In this case extension will autogenerate FB Open Graph and Twitter card metatags, independent from page content. 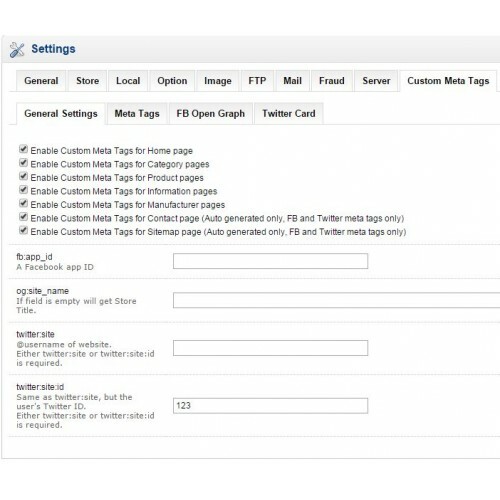 If You not have manually edit meta tags extension will autogenerate FB Open Graph and Twitter card metatags, dependent from page content. You can Enable/Disable metatags and add content for each language. 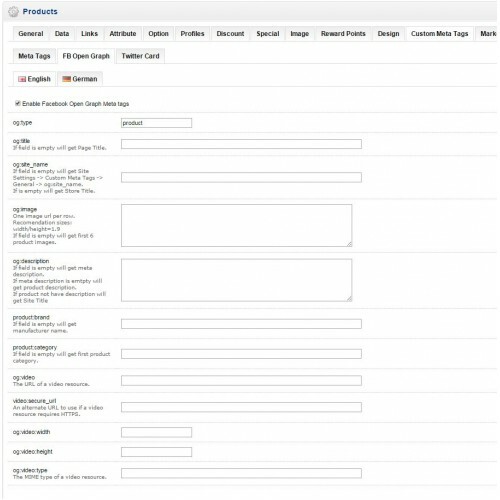 - Add video to FB open Graph for Home page, Category pages, Product pages, Information pages, Manufacturer pages, Contact page, Sitemap page. 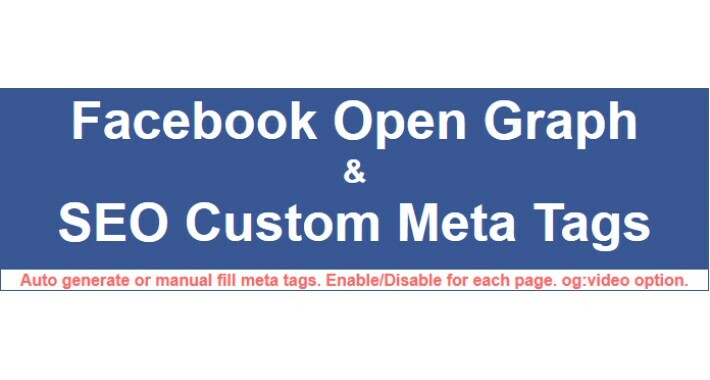 - Enter or not content to Facebook Open Graph Meta tags. 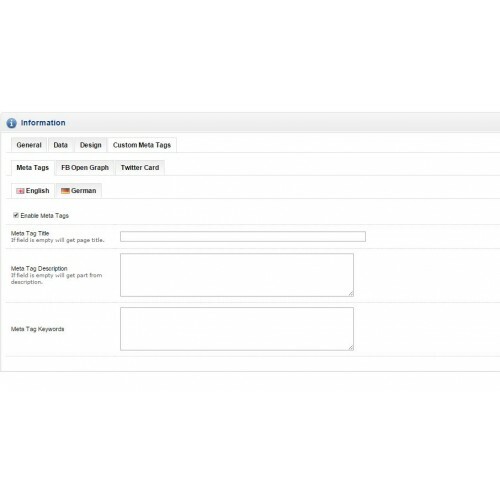 - Add Video to Facebook Open Graph Meta tags. 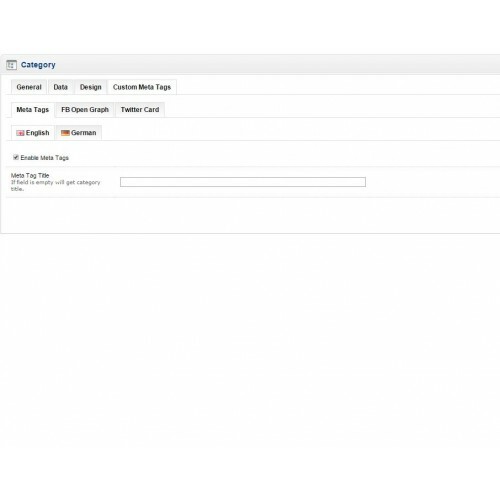 If not have own content - auto generate from page content. 3. 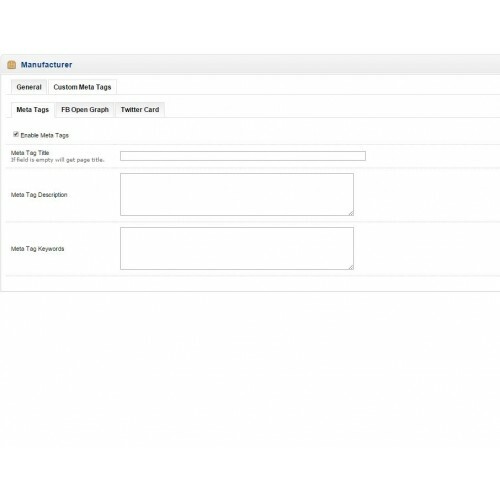 Contact Page - Autogenerated Facebook Open Graph Meta tags and Twitter card meta tags. - vQmod is required for this extension to work. 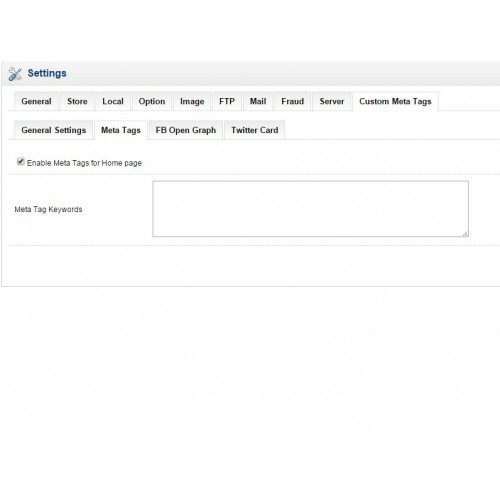 - Work with the DEFAULT admin template. Not guaranteed to work on third party themes with own admin templates.